RT: Black-Lives-Matter Friday . . . This playlist, from which three videos were posted yesterday, may be used as an educational tool for those wishing to get some insight into the real history of “the overthrow” (attempted, not actual), and the subsequent cover-up of what really happened. Of particular interest is the last video in this series, a 1934 newsreel which tells the story that the Hawaiians wanted to be annexed by the US, how the Queen voluntarily turned her Kingdom over to the US, and how happy the people were to now be part of the “great” USA. Lie 1… Lie 2… Lie 3… and a few more thrown in for good measure. Note that in that video you see none of the tears people have shed over the past 121 years, of which there were many, for what happened to their Kingdom, and their Queen. A secret society at Yale University, known as the Skull and Bones, in the U.S. has been sued over the remains of an Apache Native American. 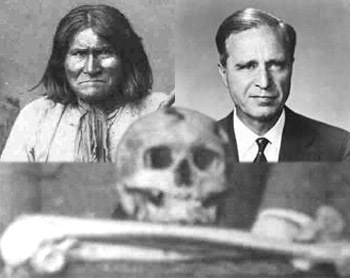 Descendants of the Apache chief Geronimo believe that 90 years ago a group of students including George Bush’s grandfather opened their ancestor’s tomb and stole his skull to use in fraternal rituals. 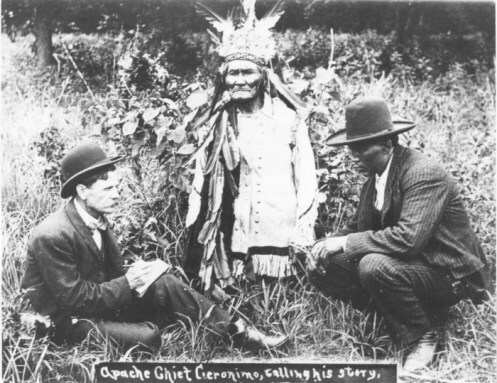 Now Geronimo’s relatives want his body back to give it a proper burial. “I believe strongly from my heart that his spirit was never released,” Harlyn Geronimo, the chief’s great-grandson, said. The lawsuit, filed on Tuesday – 100th anniversary of Geronimo’s death, also names U.S. President Barack Obama and defence secretary Robert Gates as defendants because the chief’s remains are supposed to be kept on a U.S. army base. Geronimo was a prominent Native American leader, who fought against U.S. and Mexican expansion into Apache tribal lands back in 19th century. This is great news. Again, Russia sets the example for the planet. The “corporation USA” will never get this, but the people, along with the soon-to-return of-by-for-the-people US, will. It’s Official, Russia Has Banned All GMO Products! The President did not make permanent changes to the law of the Patient Protection and Affordable Care Act, they were administrative changes, as is normal procedure for all laws passed by the Congress. The President used the legality of Article II of the Constitution to strengthen laws via executive orders, to make appointments via recess powers, to implement changes to immigration laws, which are not subject to judicial review, and utilized other authorities given to the President in Article II.